Cost: Free; we will be taking donations and doing raffles to raise money for MaryCatherine Hydrick. Raffles tickets will be available for purchase for $3/each. Details: Join us for a 3-5 mile fun run/walk as we celebrate our 9th store birthday. 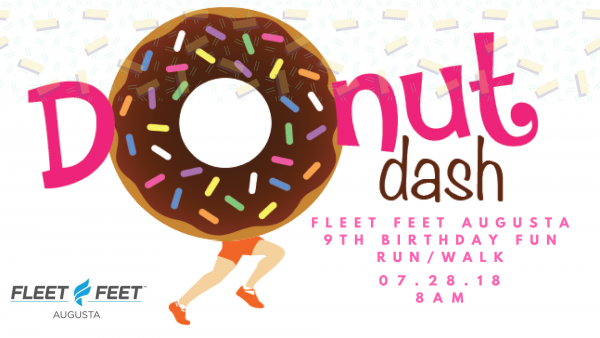 Post run, participants can enjoy donuts and mimosas as they shop our in-store birthday sales. MaryCatherine Hydrick (MC) and her family were devastated at her recent diagnosis of Acute Myeloid Leukemia (AML). MC has long nurtured many aspirations, including professional teaching and raising a family. She earned her teaching degree last May and has been teaching third grade this year until her recent hospitalization. MC and her family are some of the most selfless people that we have had the fortune and opportunity to know. Donations from this event are a small way for us to show her our appreciation and love, as it will hopefully lessen the financial burden of the many medical expenses that she will encounter throughout this process, while she is taking a leave of absence from work. All funds donated will go directly to MC to meet her needs. If you wish to donate, please click on the link. * Note: The Fun Run route is on the sidewalks of Furys Ferry Rd. Strollers and pets are welcome.